Berlin - Hertha Berlin missed an opportunity to secure their top-flight status by drawing 0-0 at home to Eintracht Frankfurt. Salomon Kalou spurned chances in each half to hand the capital club victory in their final home game of the campaign, but Pal Dardai’s side held firm at the back to earn what could be a precious point in their quest for survival. Dardai’s charges started the better of the two teams at the Olympiastadion, but goalscoring chances were few and far between in the first 45 minutes. Indeed, a curling effort from Kalou, which was well saved by Kevin Trapp in the Eagles’ goal, was the closest either side game to breaking the deadlock before the interval. 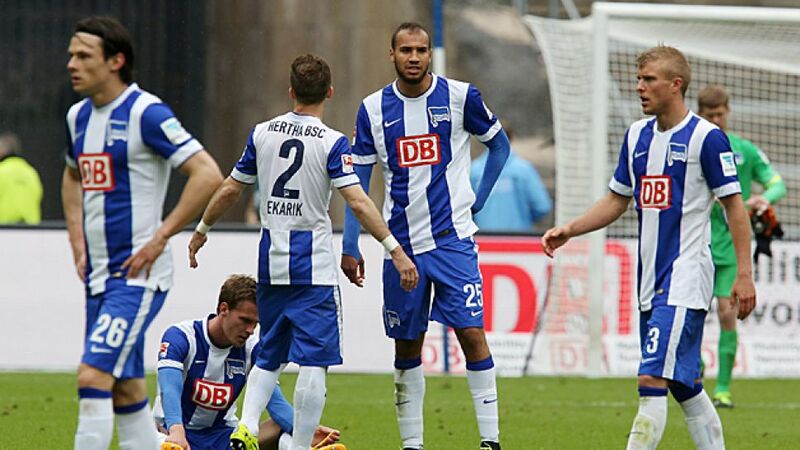 The Ivorian international missed an even better opportunity to give Hertha the lead after the restart. Having capitalised on a mistake by Eintracht defender Aleksandar Ignjovski, Kalou attempted to lift the ball over the advancing Trapp from the edge of the area, but he failed to get enough lift on his strike and the Frankfurt custodian was able to smother the shot. The point lifts Frankfurt above 1. FC Köln into eleventh place, while only a defeat at TSG 1899 Hoffenheim on the final day of the season would put Hertha at risk of dropping into Bundesliga 2.